The decision to quit tobacco use is one that only you can make. Others may want you to quit, but the real commitment must come from you. 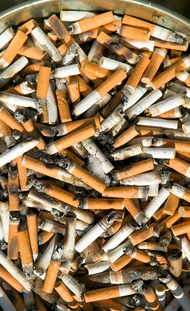 Researchers have looked into how and why people stop tobacco use. They have some ideas, or models, of how this happens. Pre-contemplation: At this stage, the tobacco user is not thinking seriously about quitting right now. Contemplation: The tobacco user is actively thinking about quitting but is not quite ready to make a serious attempt yet. This person may say, "Yes, I'm ready to quit, but the stress at work is too much, or I don't want to gain weight, or I'm not sure if I can do it." Preparation: Tobacco users in the preparation stage seriously intend to quit in the next month and often have tried to quit in the past 12 months. They usually have a plan. Action: This is the first 6 months when the user is actively quitting. Maintenance: This is the period of 6 months to 5 years after quitting when the ex-user is aware of the danger of relapse and take steps to avoid it. Where do you fit in this model? If you are thinking about quitting, setting a date and deciding on a plan will move you into the preparation stage, the best place to start. Once you've made a decision to quit, you're ready to pick a quit date. This is a very important step. Pick a specific day within the next month as your �Quit Day'. Picking a date too far in the future allows you time to rationalize and change your mind. But do give yourself enough time to prepare and come up with a plan. You might choose a date that has a special meaning like a birthday or anniversary, or simply pick a random date. Circle the date on your calendar. Make a strong, personal commitment to quit on that day. There is no one right way to quit. Most tobacco users prefer to quit "cold turkey" - that is, abruptly and totally. They use tobacco until their Quit Day and then stop all at once, or they may cut down on tobacco for a week or 2 before their Quit Day. Another way involves cutting down on the number of times tobacco is used each day. With this method, you gradually reduce the amount of nicotine in your body. While it sounds logical to cut down in order to quit gradually, in practice this method is difficult. Quitting tobacco is a lot like losing weight; it takes a strong commitment over a long period of time. Users may wish there was a magic bullet - a pill or method that would make quitting painless and easy. But that is not the case. Nicotine substitutes can help reduce withdrawal, but they are most effective when used as part of a stop tobacco use plan that addresses both the physical and psychological components of quitting. Stock up on oral substitutes - sugarless gum, carrot sticks, and/or hard candy. Decide on a plan. Will you use nicotine replacement therapy? Will you attend a class? If so, sign up now. Set up a support system. This could be a group class, Nicotine Anonymous, or a friend who has successfully quit and is willing to help you. Successful quitting is a matter of planning and commitment, not luck. Decide now on your own plan. Some possibilities include using the nicotine patch or gum, joining a tobacco cessation class, going to Nicotine Anonymous meetings, or using self-help materials such as books and pamphlets. Your plan should include one or more of these options. Get rid of all cigarettes, lighters, ashtrays, and any other items related to smoking. Keep active - try walking, exercising, or doing other activities or hobbies. Begin using nicotine replacement if that is your choice. Attend stop smoking class or follow a self-help plan. Use the four "A's" (avoid, alter, alternatives, activities) to deal with tough situations (described in more detail later). Withdrawal from nicotine has two parts - the physical and the psychological. The physical symptoms, while annoying, are not life threatening. Nicotine replacement can help reduce many of these physical symptoms. But most users find that the bigger challenge is the psychological part of quitting. If you have been using tobacco for any length of time, it has become linked with many of your activities - watching TV; attending sport events; while fishing, camping, or hunting; or driving your car. It will take time to "un-link" smoking from these activities. That is why, even if you are using the patch or gum, you may still have strong urges to smoke. One way to overcome these urges or cravings is to recognize rationalizations as they come up. A rationalization is a mistaken belief that seems to make sense at the time but is not based on facts. If you have tried to quit before, you will probably recognize many of these common rationalizations. I'll just use it to get through this rough spot. Today is not a good day; I'll quit tomorrow. How bad is tobacco, really? Uncle Harry chewed all his life and he lived to be over 90. You've got to die of something. Life is no fun without smoking. You probably can add more to the list. As you go through the first few days without tobacco, write down any rationalizations as they come up and recognize them for what they are: messages that can trap you into going back to using tobacco. Use the ideas below to help you keep your commitment to quitting. Avoid people and places where you are tempted to smoke. Later on you will be able to handle these with more confidence. Alter your habits. Switch to juices or water instead of alcohol or coffee. Take a different route to work. Take a brisk walk instead of a coffee break. Alternatives. Use oral substitutes such as sugarless gum or hard candy, raw vegetables such as carrot sticks, or sunflower seeds. Activities. Exercise or do hobbies that keep your hands busy, such as needlework or woodworking, that can help distract you from the urge to smoke. Deep breathing. When you were smoking, you breathed deeply as you inhaled the smoke. When the urge strikes now, breathe deeply and picture your lungs filling with fresh, clean air. Remind yourself of your reasons for quitting and the benefits you'll gain as an ex-smoker. Delay If you feel that you are about to light up, delay. Tell yourself you must wait at least 10 minutes. Often this simple trick will allow you to move beyond the acute urge to smoke. What you're doing is not easy, so you deserve a reward. Put the money you would have spent on tobacco in a jar every day and then buy yourself a weekly treat. Buy a magazine, go out to eat, call a friend long-distance. Or save the money for a major purchase. You can also reward yourself in ways that don't cost money: take time out to read, work on a hobby, or take a relaxing bath.